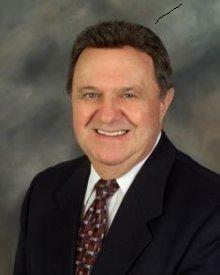 George Payne is a senior Loan Officer for Federated Mortgage Corporation. We met George at the Christian Business Partners meeting at Mac’s Cafe in Butler, held every Thursday morning from 8:15 to 9:30. George shares a lot of positive thinking and positive attitudes that bring success to people in all walks of life. These are some of the things we wanted to share with you. George believes in meeting personally with clients to find out their needs and explain everything they need to know and help them understand all about mortgages as this will be one of the biggest investments they will make in their life. George wants to be there for them from the beginning to the end and help them through the whole process. George has built his business on referrals showing that satisfied customers are one of the main things on building a solid business. One thing we need to learn. Creating relationships is so important as you go through life. So is teamwork important in life. This entry was posted in Uncategorized and tagged mortgage, positive thinking, referrals, relationships, teamwork. Bookmark the permalink.